Ramblings of a Pregnant Woman! | Discovering My Heart! Ramblings of a Pregnant Woman! Various things have been on my mind for the last few weeks. In fact I had so many of them that I couldn’t even pick one thing to talk about last week, so I didn’t even post…sorry if I disappointed anyone. I have been in my nesting stage for a few weeks now, and it is exhausting, but that is mainly due to the fact that I am not at home most of the day. Working full-time and trying to prepare for a child does have its difficulties, but I am truly blessed to have the opportunity to work while pregnant, and I have a great team helping and encouraging me along the way. Okay so here is what has been happening in my world: My son “dropped,” I find this term to be hilarious – like he can really go anywhere, and it is the most pain I have felt in awhile. All through my pregnancy I have been carrying him high and since he moved lower, there is a lot of pressure on my hips. This has caused me to look like an old hag! 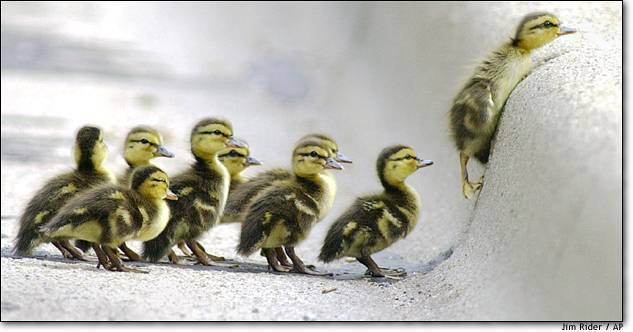 My hands have to be on my back to help support me when I walk, and I waddle like a duck – seriously little ducklings should be following behind me! I am pathetic! Don’t get me wrong, I can handle the pain, but I feel as though I am the stereotypical pregnant woman that they show in movies. However, once I get some Tylenol in my system there is no holding back. I will get everything done that needs to get done, and I will still complete it faster than my husband (Not a bash on him, just stating fact), that is part of nesting I guess. I still have baby clothes to wash, but I am happy to report that the hospital bags have finally been packed, as well as a few things for my loving husband! Hopefully the Cardinals are in the World Series again and then we can bring our son into this world on a game day, but if not I am packing Big Bang Theory! The nursery is almost complete, just a few final touches that will go up this weekend and I will be sure to post a photo next week of the nursery! One issue that has been bothering me lately is Cooper. That puppy just won’t put up his toys (I know what you are thinking, “what kind of dog puts up his toys?” Well, he knows how and he has a toy box they are all suppose to go into), and for some reason my husband finds it to be the most entertaining thing to watch me squat down and pick up each toy. I know that it looks funny, I am sure I would laugh at myself too if I could see it – maybe I will video tap it for laughs later on. Other than the feeling of constant pain, dealing with puppy pee, and being the entertainment for my husband, life is grand. Tobias is kicking constantly and of course giving me loads of heartburn; a great reminder that I am helping to bring new life into the world. I know challenges will continue to present themselves and I know that stress will come and go, but as long as I keep moving forward with God and Discovering My Heart I can get through it all. The biggest thing I have learned about myself these last two weeks, is that woman are stronger than we are given credit for. I am dealing with a lot of stress physically, emotionally, and mentally and yet at the end of each day I am happy with my life. I wouldn’t change a thing.